Nokia has introduced Nokia 6 smartphone. 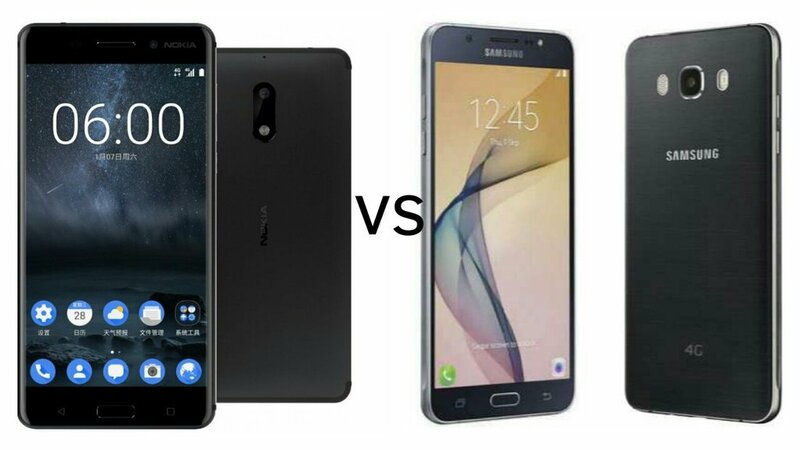 It comes with Metal body, Fingerprint Scanner check out price specs features comparison between Nokia 6 and Nokia 6 vs Samsung Galaxy On8. 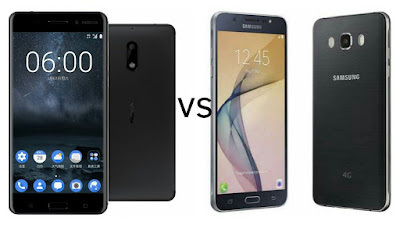 Nokia 6 and Samsung Galaxy J7 Prime comes with a 5.5-inch (1920 x 1080 pixels) 2.5D curved glass display Corning Gorilla Glass 3 protection and Galaxy On8 has a 5.5-inch Full HD 1920x1080 pixels) sAMOLED display. OS- Android 7.0 (Nougat) Android 6.0.1 Marshmallow.